As the New Year is upon us, many people are reflecting upon the past year and determining what changes need to be made for the coming year. If you have been going through a tough, litigious divorce in Florida in 2015, perhaps it is time to reassess your divorce strategy and divorce process. According to the traditional family law model, divorce is a zero-sum game where each party hires attack dog lawyers. The lawyers not only show their client in a positive light but also tear the other party down. Traditional divorce lawyers engage in damaging opposition research, through depositions, interrogatories, requests for production of documents and things, and requests for admissions. Of course, the other attorney defends against opposition research with objections, motions for protective orders, and discovery requests in response. Traditional divorce lawyers then set public hearings on motions to compel, motions for contempt, and motions for attorneys’ fees and costs. Even after these motions are heard, parties may still be years away from a final trial. Does this sound familiar? Are you unhappy about the path that your divorce has taken? If so, you may want to consider getting a second opinion on your divorce. There are alternatives to the traditional divorce model. Beyond mediation, there is a process known as collaborative divorce. Collaborative divorce starts with a written contract, the participation agreement, which states that each spouse has their own individual attorney, and that the two attorneys will be used only to engage in out-of-court dispute resolution. Collaborative attorneys cannot engage in contested court actions or hearings, so there will be no depositions, no formal requests for discovery, and no motions for contempt. Instead, all money, time, and resources are focused on helping the clients reach an agreement that is acceptable to both of them. If the spouses engage in contested court proceedings, try to misuse the collaborative process to gain an unfair advantage, or are unable to reach an agreement, the collaborative process terminates and the collaborative attorneys must withdraw. Fortunately, termination happens rarely (collaborative process has about a 90% success rate nationwide). But there are some safeguards that are oftentimes put in place to give the spouses the best chance for success. Traditional courtroom divorce practitioners view the dissolution of marriage as a legal process. Collaborative divorce professionals, on the other hand, recognize that it is also an emotional and financial process. And, so, a neutral facilitator, who generally has a license as a psychologist or other mental health professional, is oftentimes retained as part of the team. The facilitator ensures that communication between the spouses remain respectful and forward-focused, and he or she helps cut through the emotional clutter of divorce so that the spouses can reach a resolution on what is most important (i.e., their children). Further, a neutral financial professional is oftentimes utilized in a collaborative case. 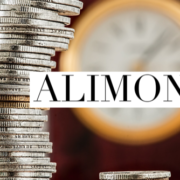 The financial professional serves as a neutral repository of the spouses’ financial information who helps the clients make informed decisions (think trust, but verify) on matters of family support and division of property and debts. The financial professional will also develop personally-tailored options to your family’s particular needs and take into account tax consequences and future earning potential. If you have been going through a traditional divorce, and you want to try the collaborative process but do not want to lose your current attorney if the collaborative process is unsuccessful, you can chose to have a litigation freeze. This is where your trial attorney goes on standby, and you retain a new collaborative lawyer for a limited amount of time. If you are unable to reach a collaborative agreement within that amount of time, then you have the option of withdrawing from the collaborative process and going back to your trial attorney. Of course, the collaborative process is voluntary, and so your spouse also has to agree to it. But, if the traditional divorce court process has been making you miserable, chances are it has also been just as devastating to your spouse, and so he or she may be open to trying something different. If you want a second opinion on your Florida divorce, schedule a consultation with Family Diplomacy: A Collaborative Law Firm at (813) 443-0615 or by filling out our contact form. Adam B. Cordover now practices exclusively in out-of-court dispute resolution, with a focus on collaborative divorce and family law, mediation, direct negotiations, and unbundled legal services. Adam is the Immediate Past President of Next Generation Divorce, one of the nation’s largest collaborative practice groups, and on the Executive Council of the Florida Academy of Collaborative Professionals. 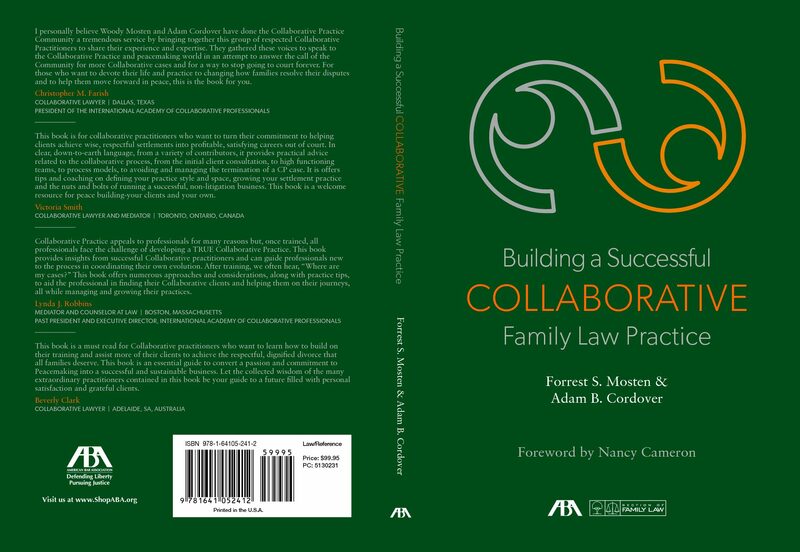 Adam is also co-author of an upcoming American Bar Association book on Collaborative Practice. https://familydiplomacy.com/wp-content/uploads/2016/12/Family-Diplomacy-Logo.jpg 0 0 Adam https://familydiplomacy.com/wp-content/uploads/2016/12/Family-Diplomacy-Logo.jpg Adam2016-01-04 08:50:152017-07-12 21:54:46Do You Need A Divorce Second Opinion? Do I Need to Purchase Life Insurance to Secure My Child Support Obligation?